Want to cuddle with Jeremy? Every person has a natural desire for connection. It is connection that makes us feel alive and keeps us healthy. One of the most basic – and yet very powerful – forms of connection is human touch. As a practitioner of holistic medicine, I use the power of touch to treat anxiety, depression, and illness. The power of touch is incredible! Human touch is not just for healing. Human touch is a necessity…for everyone. Touch gives us a connection with another human being; a chance to simply share an experience with another, and gives us a sense of being part of a greater whole. Cuddling is also an opportunity for personal growth. For some, it might be a chance to get out of one’s comfort zone. Or to safely develop boundaries. Or to practice asking for what you want without feeling judged. No matter what interests you about cuddling, it’s also about sharing the joy and wonder of human connection. Hi! My name is Jeremy. I view my career as being one of “helping and serving others”. I do this in many ways: sometimes I treat disease, sometimes I work as a life coach, and there are moments when my job is simply to “be there” for another person. 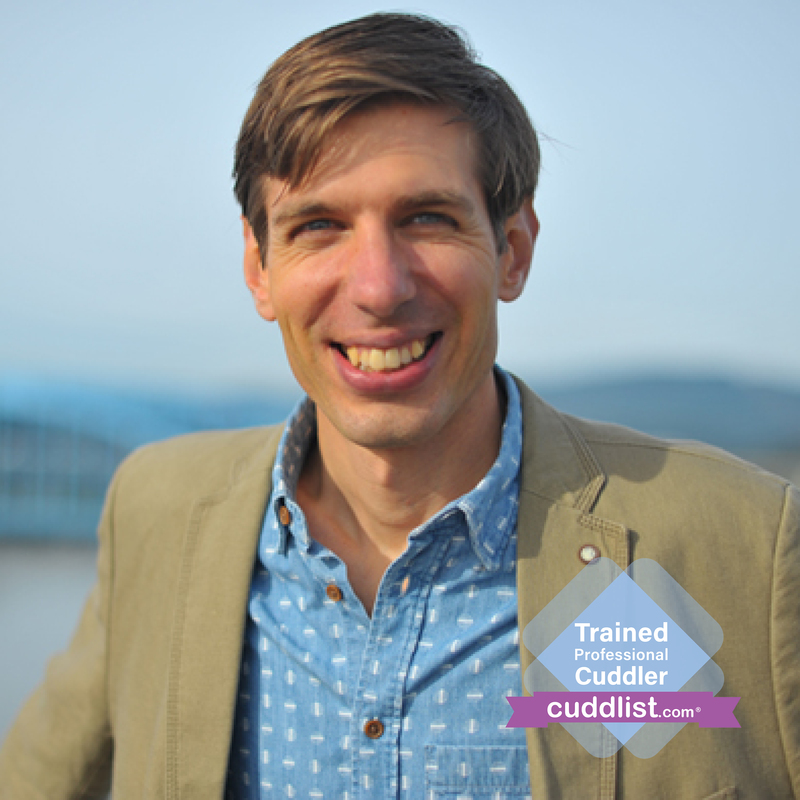 I became a professional Cuddlist because I feel that there is a huge need for more positive connection in this world. I am able to provide this connection to any-body, in an environment that is safe, and in a manner that is emotionally healthy. I would be very happy to share a connection with you. Sessions are conducted on a futon at my office, or at the customer’s residence. Before we begin, we will go over the ground rules and then prepare a relaxing space for the session.